Register for the Next Cadet Officer’s Basic Course (COBC) HERE! 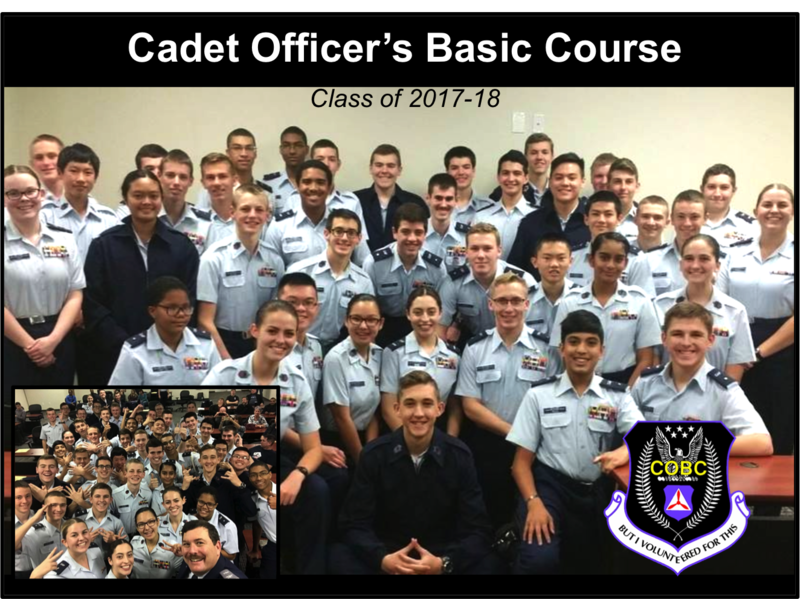 Cadet Officer’s Basic Course (COBC) was originally modeled after the USAF Squadron Officer School (SOS). The intent was to provide a professional training program, exclusive to CAP cadet officers. A basic principle of COBC is to make the course practical, with material the students could apply directly to their jobs at their home units. Although both COBC and the National Cadet Officers School (COS) are based on the USAF SOS program, COBC was designed as a less theoretical program, with practical exercises, and a more “nuts and bolts” approach providing many opportunities to apply what was taught … both in structured exercises, and “found opportunities” as students and staff interacted over the course of the program. COBC has evolved to focus on the three major subject areas of Leadership and Management, Communications, and Applied Ethical Decision Making. Students receive this instruction through a process of classroom academics, simulations, exercises, and personal interaction. Much of the philosophy involving COBC has remained constant throughout its over three and a half decades of existence. The program maintains an academic rigor unequalled in any other CAP programs. There remains a focus on student-centered “guided learning,” where students are given situations and experiences to increase their competence, enhancing their desire to learn, and feedback through staff observations and evaluations. There also remains a heavy emphasis on the Socratic method of instruction to that end. Additionally, students were assigned the ultimate responsibility for their own education. They were treated as cadet officers “twenty-four hours a day,” and held accountable to that standard.